It’s 19 August 1997, around 9 AM. The link is OK, and Mr S… is on the other end of the line. Nous sommes le 19 août 1997, vers neuf heures du matin. Le téléphone sonne, c’est un certain monsieur S… qui m’appelle. From these translations it appears that the English and French translators don’t agree on the meaning of the German phrase “Die Verbindung funktioniert” (literally “the connection functions”). The English translator has figured that it means that the call has successfully gone through (i.e. it didn’t fail) and that the telephone connection between the storyteller and Mr S… is working. The French translator, however, has decided that it simply means that the phone rang (“Le téléphone sonne”). Has an error of interpretation been made? Who is right? How did this happen? What can translators learn from this example? I posed these questions to veteran translator Dr John Jamieson. John has been a professional translator for more than 35 years working in both the government and private sectors. A native speaker of English, John translates from the majority of European languages ranging from French and German to Slovenian and Finnish. John completed a Ph.D. in French Literature in 1983 at the University of Otago, New Zealand, and has presented his novel ideas on translation techniques at a number of international conferences, including FIT 2014. Currently, John works as the Senior Translator at NZTC International in Wellington, New Zealand. Paul: What’s going on here, John? Why did the English and the French translators come up with differing interpretations of the original German? John: The French translator got it right. The phone rang. The English translator didn’t recognise that the German phrase “the connection functions” is a derivative, an oblique expression which refers back to some other specific, concrete event (in this case that the phone had just rung). Paul: You’ll need to explain what you mean by derivative. John: This sort of translation problem can be very nicely described in terms of rudimentary calculus. If you have the coordinates of the location of a moving body (such as a train or an automobile), over a period of time, you can calculate its velocity using a simple mathematical rule. If you apply the rule again you can then calculate its acceleration. From position, we can derive velocity and from velocity, we can derive acceleration. In the example from the Mercedes book, the expression (“the connection functions”) is derived from and refers back to a specific concrete event — “the phone rings”. Paul: So a derivative expression is more ambiguous? John: Yes. Just like in calculus, every time you apply the rule to form a derivative, there is some information loss. In this case, the “phone” is lost and we are left with a more ambiguous “connection”. “Rings” is lost and is replaced by “functions”. Paul: Can you give me some more examples of such derivatives in language? John: Take for example a newspaper headline which reads, “Former bankrupt to lead the free world”. “Former bankrupt” is clearly derived from “Donald Trump” – but doesn’t say so explicitly. Or, the phrase “Tremor shakes capital” may mean “An earthquake has occurred in Wellington, New Zealand’s capital city”. Paul: … so they often present particular difficulties when they come to be translated. John: Yes. If the differentiated phrase is translated directly, foreign readers of the text may miss the intended meaning. Paul: So how can the translator avoid such errors? John: Firstly, the translator has got to spot that the phrase is actually a derivative (we can talk later about how to do that). Once spotted, the translator may have to modify the expression to ensure it is meaningful to his readers in the target linguistic or cultural context. One choice is to anti-differentiate the phrase. In calculus, the differentiation of functions results in expressions that are progressively less specific. For example, the term x-squared plus 2 differentiates as just 2x. When we try to integrate (or reverse the process to recover the original function from 2x) all sorts of constant elements might potentially be present in the answer. In mathematics, the reverse process of differentiation, anti-differentiation, is called integration. When you integrate acceleration you get velocity and when you integrate velocity you get position. But integration is not as easy as differentiation because you have to restore the lost information. This was the approach taken by the French translator in the Mercedes book. He recognised that “connection” was a derivative of “phone” and “functions” was a derivative of “rings” and so he integrated the phrase, restoring the original missing information. The English translator didn’t recognise that “the connection functions” was a derivative and he rendered the surface, literal meaning in his translation. There is no way that “The link is OK” can be interpreted in English as “The phone rings”. Paul: So how can translators spot what is derivative and what should be taken literally? John: As we discussed in our previous conversation the translator can often disambiguate tricky text by establishing where the primary and second stresses lie. Some material in a text is new information, which tends to carry the primary stress, whereas other information is secondary and derivative, referring back to that primary information, and generally carries a lesser degree of stress. When in doubt, the translator should read the sentence aloud and listen for where the stress naturally falls to make sense. In the Mercedes text, if one reads “Die Verbindung funktioniert” (“the connection functions“) where “functions” carries the primary stress, then we will assume that the literal meaning is the intended one — “Ah! The phone’s working (as opposed to being broken)! This is new information. On the other hand if one reads “Die Verbindung funktioniert”, (“the connection functions”), the unstressed “functions” suggests that the verb here is derivative and is a synonym for something else — “ringing” in this case. Reading the sentence aloud, trying it with the stress on different words, gives the translator some options. Is there any indication that there was something wrong with the phone line or did the phone just ring? The absence of any suggestion that the phone link was down, indicates that the phase was most likely a derivative of “The phone rang”. Paul: Are you suggesting that all derivatives need to be integrated when translating? John: No. The important point is that when translating derivative terms, we must be careful to use expressions that allow the reader to recognise the antecedent it refers back to. We have to recognise that different languages classify words as derivative differently and we need to select appropriate equivalents in the target language. Hence “les prochaines échéances” will become “elections are next due to be held in…”, or some such (if that’s what the text is about). Similarly, in a German business text, “die Briten” will be translated as “the UK firm”, not “the British”! More interestingly, some nouns can be both particular and derivative in one language, but in only one of these categories in another language. Thus “measure” in English is a derivative concept, whereas the literal equivalent “Massnahme” in German can be quite specific. If a German company has decided to implement a “Massnahme” to address a problem, we might translate this as “countermeasures”, “programme”, even “set of measures”, etc. Similarly, a conference paper, or a telephone call, could be called a “communication” in French, whereas English “communication” is usually a derivative word. Similarly “Beleg” in German tax correspondence usually means “receipt”, “invoice” or both, as a primary function concept. Many dictionaries give “document”, but that tends to suggest a derivative term, and the English reader is left wondering what (already known) document is being referred to. As translators, we have to distinguish between primary and secondary beats in the text, to detect what is new and what is derivative and then reflect the different weightings of the two categories in the target language. This may involve some manipulation of the text and the restoration of some “missing information” — something that would not be approved by some of my colleagues in the profession, and indeed by some translation examiners. Even the most boring, everyday texts are imbued with their own form of prosody and music — strong and weak beats dictated by the semantic flow of the communication. Reading difficult texts aloud to find these beats, as musicians do when they read a score, can enrich the reading experience, particularly in the case of good or great writing. Originally published at Multilingual.com (http://buff.ly/2teSTKY). There are those who claim that there is no shortage of customers who will pay top dollar for translations of very high quality. Chris Durban, an expatriate American translator living in Paris is a well-known proponent of the idea — her own eye-watering fees lend support to the theory. But, she cautions, to get those fees you not only have to be good… but very, very good . So how can mere mortal translators, like most of us, up their game and produce better than ordinary translations? John has been a professional translator for more than 35 years working in both the government and private sectors. John translates into English from the majority of European languages ranging from French and German to Slovenian and Finnish. John completed a PhD in French Literature in 1983 at the University of Otago, New Zealand, and has presented his novel ideas on translation technique at a number of international conferences, including FIT 2014. Currently, John works as the Senior Translator at NZTC International in Wellington, New Zealand. I put the question to veteran translator Dr John Jamieson. Paul: Many translators like to argue that civilisation could not have developed without the unique role played by translators. It is often argued that they conduct the delicate negotiation between languages and cultures which allows the dissemination of new knowledge and great discoveries. This role makes them important experts who, like doctors and accountants, deserve commensurate remuneration. John: Indeed, translators, like mechanics and plumbers, require remuneration commensurate with their professional contribution to society. However, if translation is a profession at all, it is fundamentally different from any other calling embellished with that name for the simple reason that our stock in trade — language — is part of the birthright of every human being. Just about everyone on the planet speaks one language, and many of us speak two or more, so any attempt to create a priesthood or profession from such a universal base is bound to be only partially successful. In my view, claims by some professional translation associations and others that we play some elevated social role remind me of the mouse trying to inflate itself to the size of an elephant. Paul: But you must agree that the job requires a great deal of professional skill? John: Indeed. But in my observation, the quality of translation work produced by a great majority of “professional” translators is very ordinary — at best. A simple, but compelling illustration is to look at the quality of translations into English on websites such as Linguee which offer sample translations for professionals to emulate or to reuse. I’m always surprised at how often they display poor workmanship or an inadequate analysis of the meaning of the source text. Paul: But isn’t the popularity of medium to low grade translation a booming market? Witness the momentous impact of cheap (or free) digital competition — online and often instant. Do you see this as a threat to the profession? John: It’s a threat, of course — but maybe it’s a greater threat to our less able colleagues than to translators with well-developed skills. Oddly enough, the digital tidal wave may carry with it the seeds of long-term opportunities for human translators. Paul: That’s a novel claim, John! Why is this? John: Just as computers are becoming more like us, we are also growing more like them. As machines become more intelligent, we tend to become less willing and possibly less able to read complex information and understand it at a deep level. Just as shop attendants can no longer calculate change (because they don’t have to) and most of us are rapidly losing the art of handwriting, all of us increasingly expect to be able to absorb the information we read quickly and easily. But at the same time, my observation is that people are losing the ability to write well enough to enable that to happen. And despite easy access to huge volumes of information, there is a decreasing ability to understand what it all really “means”. So, while we increasingly need information to be presented in a way that can be understood quickly and easily, there is a shortage of people who can write well enough to achieve this objective. Now while that is a problem within any given language community, when the information needs to be translated from one language to another, the problem is inevitably compounded. An ability to understand the source text at a deep level, and being a skilful writer in the target language is a characteristic of the most skilful translators — and here is an opportunity they may be able to seize. A market opportunity that less able human translators or the digital competition cannot address. The standard of a great proportion of translations that are actually being produced from day to day is low and many translations on technical subjects are often well below the threshold of coherence. However, there are some techniques available that can make translations on difficult subjects look pretty good, and perform a very useful function. Paul: Can you give me a practical example of such a technique? John: Understanding a written text — and then creating an understandable version of the material in another language — really comes down to hearing and expressing the inherent voice of the original text. That is the inner meaning behind the words that the author is trying to convey. If you can “hear” the implied meaning behind the words, you can rapidly gain a deeper insight into texts on even quite specialised subjects. Paul: So, how can one quickly cut to the inner meaning of specialised text? John: The trick is to work out where the stresses in a sentence lie – that is the emphases that would be heard if the original author were reading the text out aloud. The suprasegmentals — that is the pitch, tone, intonation and stress patterns of spoken language — carry a huge amount of information about the speaker’s intended meaning, but this gets lost in written language. Paul: Do you think that this information can actually be recovered from a written text? John: Most certainly! You just have to “hear” the text. When a text is read aloud, there is little doubt about the author’s intentions and implied meaning. If you can’t hear it by silent reading, then reading it out loud can help recover where the author placed his emphases and thus the implied meaning of the text. Paul: Can you give me a practical example of this technique? By listening to how this sentence might be spoken out loud, it is possible to reach a better understanding of the idea by hearing which elements are stressed. This helps identify which elements are the most important ones. The context of this text is that the author thinks that accounting rules need a bit of a shake-up. In particular, he believes that too much importance is given to the “current ratio” – which he defines as the ratio of current assets (i.e. to be realised within one year) to current liabilities (i.e. payments to be met within that same period). He has begun his discussion with the liabilities side of the balance sheet, and in the above sentence he is moving on to the assets side. He is proposing an alternative approach that does not worry so much about the current ratio. By discovering where the most important, or stressed elements in the sentence are, we can then refine the meaning by working out what they are opposed to. Google doesn’t know what “current ratio” means, but even if that term had been correct, I don’t believe this French would have carried much meaning. My text probably has its faults, but I reckon the meaning is crystal clear. The capitalised words in my rephrased English would be stressed. The exceptions may be “conventional” and “current ratio” — but these ideas are important because the author has already talked about them, whereas the other capitalised words are important because they are “new” elements of the argument. Paul: How would you evaluate this sort of technique against subject area specialisation? John: Even subject specialists who do not hear the inner meaning of the text and are unable to follow the author’s line of reasoning are not going to make a good translation. The point I want to make is that even if we are not a subject expert, we can better handle complex texts and get to the implied meaning by working out where the stresses fall as if the text had been spoken aloud and which repeated terms are important. By recovering the underlying “music” of the text, the author’s implied meaning will jump out at you. I guarantee that this will give you a significant head start to producing a good translation of specialist texts — even when you are not a subject specialist. I believe we should be applying such sensible techniques to make ourselves better practitioners. This puts us ahead in the game. Nice or nasty? Which translators finish first? In a previous post, I looked at a phenomenon known as the Prisoner’s Dilemma. In the translation industry this is where competitors cannot resist the temptation to win more work by undercutting each other on price. Simple mathematics shows that they end up worse off than if they had kept their prices steady. Translators, both freelancers and LSPs, often find themselves unwittingly thrust into this sort of dilemma. 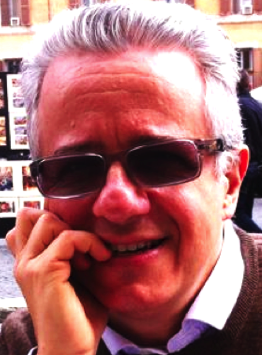 Luigi Muzii, Rome, Italy, has been in the language industry since 1982 as a translator, localiser, technical writer and consultant. He was visiting professor of terminology and localization at the LUSPIO University in Rome and is the author of several books and many papers and articles on translation issues. I discussed this thorny problem with my colleague, Luigi Muzii. We looked at whether there is a way out of the dilemma for players in the translation industry. Paul: Do you see a way out of the Translator’s Dilemma, Luigi? Is there a way to break the downward spiral of poor pricing and low remuneration? Luigi: There are most certainly ways out of the dilemma—but getting translators to collaborate to their mutual advantage is not a simple task. Translators can often be a fractious lot. For some there seems to be no other more satisfying sport than pointing out translation errors made by their supposedly less gifted colleagues, or damning others for charging outrageous fees (while wishing that they could earn at the same high level). Some like to blame the promoters of emerging technologies for ruining what they think of as a beautiful, intellectual profession. Others appear only concerned to exploit translators’ skills and expertise (even by resorting to the Devil’s own technology) to force down rates in order to undercut their competitors. LSPs often fail to collaborate with each other because they are suspicious of each other’s motives. Many freelancers fear that some of the translation agencies they work for are only interested in ripping them off. Paul: Suspicion and distrust are hardly the right ingredients for nurturing mutually beneficial collaboration! The spectacle of a profession engaging in a global, self-destructive price war is very disheartening. 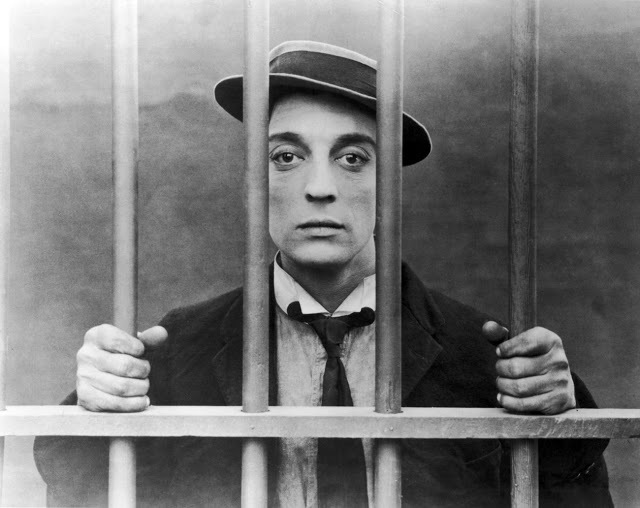 Luigi: Many scholars consider the Prisoner’s Dilemma an intractable human problem. Of course, the dilemma is not unique to translators. It’s a game that is played out in fields as different as international politics and sustainable economic development. Paul: You’re right. In 1968, Garrett Hardin published a now-famous paper entitled The Tragedy of the Commons . He describes pastureland shared by local herders. The pasture is limited in size and the herders know that overgrazing will make it useless for everyone. 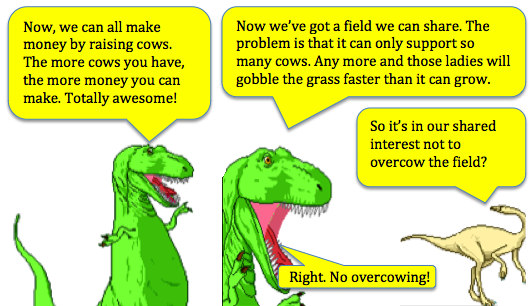 However, given that the farmers’ incomes are determined by the size of their herds, each individual always has a powerful incentive to add more animals to his own herd. Cartoon adapted from an original by Ryan North (www.qwantz.com). Whether it’s the problem of conserving fish stocks, reducing greenhouse gas emissions or pricing wars between translation agencies, the underlying conflict is between short-term individual gain and the long-term benefits that individuals might get from collaborating with others. Luigi: Yes, the “field” that translators have to play in is certainly not a limited resource—the global translation market is expanding like never before. There are new opportunities opening up every day for language professionals and entrepreneurs alike. However, the industry as a whole behaves as if the market were extremely limited. It’s as if survival depended on open warfare against professional colleagues by outright price competition. Constantly pushing the price down is clearly not a sustainable strategy in the long-term interests of the professional translation community. Can we achieve more win-win outcomes? Paul: So, let’s look at some of the ways that the theorists have proposed to break out of the Prisoner’s Dilemma. Luigi: OK. For the purposes of our discussion we might define “co-operation” and “collaboration” between translation industry players as a willingness not to cut each other’s throats by competing on price alone. However, as we know from the Prisoner’s Dilemma, there is a built-in economic motivation not to co-operate because there is always something you can do to get a better short-term outcome (irrespective of what your competitor does). At issue here is how translators can increase the odds of avoiding lose-lose outcomes (or even better, how to achieve more win-win outcomes). Paul: Yes, this very issue has been investigated in thousands of experiments made in university classrooms and laboratories around the world. Often small sums of money are used to motivate players in such experimental Prisoner’s Dilemma games. Interestingly, the research has shown that under certain circumstances people actually co-operate more often than the theory might lead us to expect. For example, if the same competitors play the basic dilemma game over and over again, they often find that they increasingly adopt “nice” co-operative behaviour. By repeatedly playing the game, players quickly figure out that they will be better off if they co-operate. It’s only towards the end of the series of games that one of the players figures that they can make a super profit by not co-operating—they can safely be “nasty” because it’s too late in the game for the other player to retaliate. Luigi: That’s right! We don’t have to be “saints” to co-operate with each other. The Prisoner’s Dilemma shows us that we all tend to cheat if we can get away with it. The trick is to set up the environment so that there is a selfish, but positive incentive to co-operate. In real life, when we’re actually out there competing in the live marketplace, there’s no point at which the “game” comes to an end. So we always have the potential to engage in co-operative arrangements. We have the choice of playing the game as a series of one-off betrayals (such as undercutting each other on price), or as a continuous process of mutually supportive, tacit co-operation (where, in theory, we’d all be better off if we resisted the temptation to drop our price). Paul: I agree. A study done by the economists Iris Bohnet and Bruno Frey shows how co-operative behaviour can emerge from very simple things . Students who had never met each other before were divided into two groups. The students in one group were each given $10 and told that they could choose to keep it all for themselves or put some of it into an envelope that would be given anonymously to one of the students in the other group. Twenty eight per cent of the students gave nothing and kept all the money for themselves. 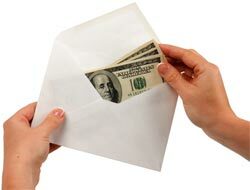 In a subsequent test, each student who was going to receive an envelope was asked to stand up so that the students who had the money could see who was going to receive it (although the recipient would never know who gave it to them). Remarkably, this time the number of students who gave nothing went down to 11%! In a third test, the givers were told some personal information about their receivers—what they were studying or their hobbies etc. Amazingly, even though the giving was still quite anonymous, not a single student from the giving group gave nothing! The average amount freely given away also changed dramatically over the three tests—from about 25% in the first test to 35% in the second and to 50% in the last test. The level of spontaneous generosity increased dramatically on the basis of relatively limited interaction between the two groups of students. This sort of gratuitous altruism is very surprising! Luigi: (Grins) Yes. The simple conclusion from this experiment is that the more humans know about someone else the more empathetic they become. Empathy clearly plays an important role in social behaviour—particularly in co-operation and collaboration. The implication for the translation industry is that mutually beneficial collaboration is more likely to occur as industry players simply get to know each other better. Participation in professional organisations, international conferences and even personal exchanges via social media such as Twitter, Facebook and LinkedIn all make their contribution. As competitors get to know each other, strategic alliances form and sharing of resources where both parties might benefit is more likely to occur. Contact as simple as exchanging tweets have the potential to break down the walls of mutual suspicion and encourage the development of the sort of empathy needed to establish trust and a willingness to co-operate. In this way industry players gradually develop a sense of professional kinship with each other. The downward spiral of self-destructive price warfare can simply be arrested as mutual trust between industry players grows. Of course, this can all sound a bit overoptimistic. On a personal level, even I don’t always become more ‘empathetic’ towards my colleagues just because we exchange tweets or meet in conferences. On the contrary, I think that some of them use social media and networking as weapons in their crusades against colleagues and phenomena they are scared of. Paul: (Laughs) Of course, the sort of co-operation needed to strengthen the professional interests we all have in common doesn’t imply that we have to actually like everyone else! 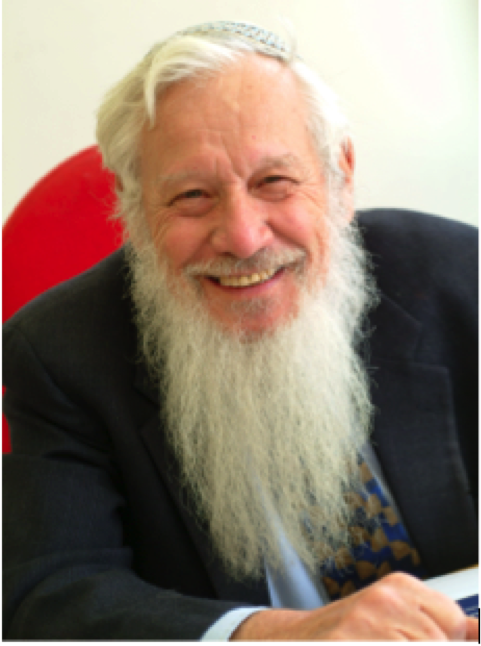 Robert Aumann received the 2005 Nobel Prize in Economics for his work in the development of the general theory of tacit co-operation in repeated games. But I guess you are introducing one of my favourite approaches to dealing with the Prisoner’s Dilemma. One of the 2005 Nobel Prize winners for Economics, Robert Aumann , analysed the dilemma game from the perspective of infinitely repeated play (as opposed to the “one-shot deal” in which both players’ best move is to betray the other). He showed that, in the long run, co-operative behaviour can be sustained—even by players who still have their own self-interest at heart . The repeated games approach is the underlying raison d’être of institutions such as merchant guilds and professional associations—an approach where players compete but gradually get to know each other, begin to appreciate each other’s strengths and weaknesses and begin to find ways to co-operate to their mutual benefit. What’s your opinion, Luigi? Do you see much scope for increased levels of co-operation between translation industry players? Luigi: Most certainly. But co-operative behaviour doesn’t happen instantly! Its evolution depends on individuals being able to make use of the opportunities as they arise—and people with “practical intelligence” are good at this. The American psychologist Robert Sternberg defined practical intelligence as the ability to adapt to everyday life by drawing on existing knowledge and skills . These individuals understand what needs to be done in a specific setting and then they go out and do it. Being “socially savvy” (like knowing what to say to whom, when and how), maximizes the effect. Some people have great analytical intelligence—the ability to complete problem-solving tasks—but little practical intelligence (or vice versa). Rarely does anyone have both. For co-operation to occur, both parties have to see their interaction as mutually beneficial—and people with practical intelligence are best able to take advantage of the circumstances that come their way, even though imagination, hard work and repeated efforts are needed to act on opportunities that may be hidden or not so obvious. Vampire bats to the rescue! Paul: Indeed. Some authors see the evolution of co-operative behaviour as a socially adaptive survival mechanism. The evolutionary biologist, Richard Dawkins is one of those. In the book that first made him famous, The Selfish Gene, Dawkins devoted an entire chapter to the problem of the Prisoner’s Dilemma . He saw the entire natural world of both plants and animals as engaged in a ceaseless struggle with this kind of dilemma. He cites evidence from the natural world where mutually supportive co-operative behaviour can develop into an evolutionarily stable strategy. 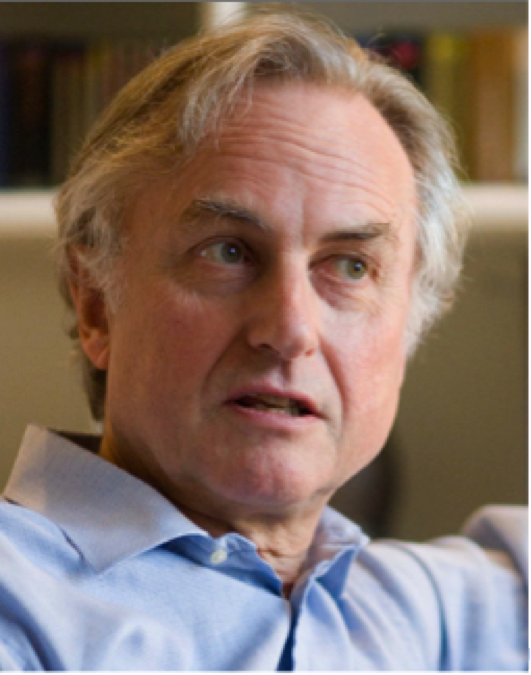 Clinton Richard Dawkins is an English evolutionary biologist. He is an emeritus fellow of New College, Oxford. Dawkins gives the example of vampire bats that feed on blood at night. It’s not easy for them to get a meal, but when they do it’s likely to be a big one. When dawn comes, some individuals will have been unlucky and will return home hungry. Those who struck it lucky sometimes donate blood to their less fortunate comrades by regurgitation. Such generosity is typically shown to other bats who are frequent roost mates or ‘friends’ (rather than to strangers from different caves). Amongst translators, we also see such altruistic behaviour when they share valuable resources such as glossaries with Facebook friends or Twitter followers who are nominally their competitors. Dawkins argues that in the natural world, small clusters of co-operators tend to prosper and grow. As they grow, they spread out and begin to invade populations dominated by “nasty”, non-co-operating individuals who, in a Prisoner’s Dilemma, typically choose to betray one another. Luigi: Correct. Local clusters of non-co-operating “nasties” not only do not prosper, but in the long term do especially badly in each other’s presence. Co-operators help each other and strengthen their community while “nasties”, always trying to outdo each other, fail to thrive. For translators, being “nice” therefore means being happy if a competitor wins just as much money as you do, as long as you are both are winning more from the customer. This is when prices can potentially begin to go up (or at least stop going down)! Paul: In this view, the difference between being nice and nasty is whether we try to rob each other to get ahead or whether we strive to earn more from the customer. Is this a realistic hope, do you think? Luigi: There is plenty of evidence to support this. I would say that other professionals—the ones that translators so often like to compare their work with—have found a way out the Prisoner’s Dilemma and have developed their own evolutionarily stable co-operative strategy. Seldom do we see such professionals trapped in ongoing, downward price competition—and most of them would still prosper without the protection from any statutory body. I don’t see why translation professionals cannot, in the long term, do the same. 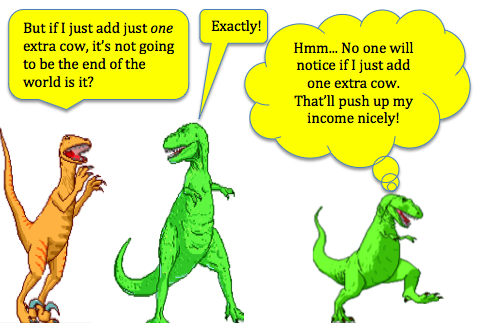 Paul: If co-operation implies not undercutting the other guy on price—how do we go about earning more from the customer? Luigi: Some of the “nastiest” people in our industry (lol!—I’m nasty myself to most of them) obsessively invite us to “educate the customer”. The idea might make some sense if professional organisations—rather than individual translators—took full responsibility for educating translation customers. Publicly speaking out with a loud and clear voice on our behalf would certainly be very powerful and likely to be a great deal more productive than their usual navel gazing. For this to be effective, though, it may well require a higher level of co-operation between industry players. But, to date, the silence is deafening. Nevertheless, earning more from the customer (as opposed to fighting each other over a few miserable scraps) ultimately relies on vigorous competition. We might leave the topic of how translators can be both “nice” and yet still compete vigorously to our next conversation. Garrett Hardin, 1968, The Tragedy of the Commons, Science 162 (3859): 1243–1248. Cited by Yochai Benkler (2011), The Penguin and the Leviathan – The Triumph of Cooperation over Self-Interest, Crown Business, New York, pp. 84-89. Tom Siegfried, 2006, A Beautiful Math, John Nash, Game Theory, and the Modern Quest for a Code of Nature, Joseph Henry Press, Washington. Richard Dawkins, 1976, The Selfish Gene, Oxford University Press, London. Richard Dawkins, 1976, The Selfish Gene, Oxford University Press, London, pp. 231-233. John Cassidy, 2009, How Markets Fail, The Logic of Economic Calamities, Farrar, Straus and Giroux, New York. Robert Axelrod, 1984, The Evolution of Co-operation, Penguin Books, London. Harold W. Kuhn & Sylvia Nasar (eds), 2007, The essential John Nash, Princeton University Press, Princeton, N.J. Collusion and betrayal in the translation industry—which do you choose? Are translation industry players locked into a self-defeating paradigm where they end up taking actions which are against their own best economic interests? In this post, I look at the translation industry in terms of a prisoner’s dilemma—the canonical example of a “game” from the branch of mathematics which concerns itself with strategy and decision-making known as “game theory”. Over the years, the prisoner’s dilemma has provided many great plots for some well-known TV dramas and movies. A serious crime is committed and a couple of bad guys are caught by the police. The cops do not have enough evidence to convict them, so the suspects are interrogated separately in the hope that they will betray each other . If the suspects keep their mouths shut, they’ll get convicted on a minor charge and will spend only minimal time in jail. However, if one of them confesses and implicates the other in the crime, he’ll go free (while his partner will get a long stretch in jail). However, there is a catch—if they both rat on each other, they’ll both get the full prison sentence. So what would you do? Your partner in crime is being held in a separate cell, so you can’t talk and agree on a joint strategy. Will you decide to keep your mouth shut and trust that your partner will do the same? Or do you think that he will betray you? If you think that you can really trust him to keep quiet, then you have the option of double-crossing him—and get rewarded with an immediate release from jail. But isn’t that what he is thinking too? Was Sarah just lucky or was her decision completely cool and rational? Look at the so-called “payoff matrix” in the table below. 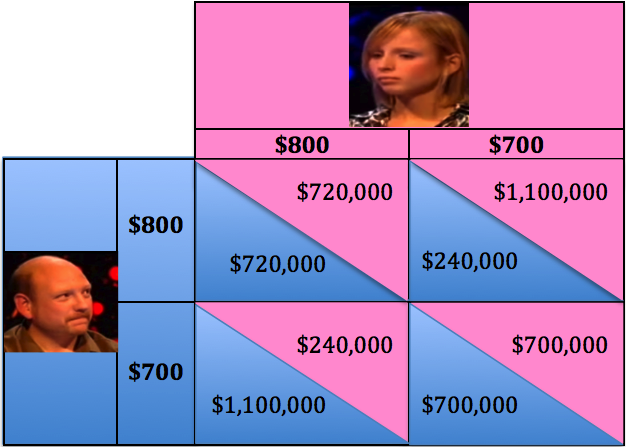 Here you can see Sarah’s payoffs (in pink) if she splits or steals given Steven’s two choices. Looking down Sarah’s left-hand column, we can see that if she chose to split the money, she would either get £50,000 (if Steven also decided to split) or nothing (if Steven decided to steal). When we look down her right-hand column, we can see that if she chose to steal, she would get either £100,000 (if Steven decided to split) or again nothing (if Steven decided to steal). Whether she goes home with nothing or with some money in her pocket depends entirely on Steven’s decision. If he decides to steal, then there is absolutely nothing she can do about it—she will just get nothing whatever she does. So for Sarah, the whole game reduces to deciding what to choose in the event that Steven decides to split. Her options are simply to choose between £50,000 and £100,000. Which would you choose—the smaller or the bigger amount? For most people, this sort of decision is a no brainer. Leaving aside any moral qualms, we can see that Sarah’s decision to choose the bigger sum over the smaller sum is the only rational one. So she has to steal. But what about Steven—Mr Nice Guy? He too had the same choices as Sarah. As a “nice guy”, he could clearly see that the best outcome for both himself and Sarah would be to cooperate, and to share the money equally. Cooperation would ensure a happy, win-win outcome. As it turns out, (and to use a technical term from game theory), he ended up with the “sucker’s payoff”. Now, what about the two prisoners being held in separate cells? Do they typically cooperate by both keeping their mouths shut to ensure a nice win-win outcome? Or do they end up ratting on each other hoping that this will buy them a get-out-of-jail-free card? Clearly if they cooperate they will both be better off in the long term with only minimal time in jail. One of them might want to keep his mouth shut, but can he trust the other guy to do the same? Or will the other guy double cross him? On the assumption that they are just as rational as Sarah was on the game show, the logic of the situation demands that the best strategy is to rat (or “steal” in Sarah’s case). Real life experience shows that “ratting” is the most typical decision for both of them—a decision that both suspects will have plenty of time to regret during their long prison sentences. Only in hindsight is it easy to reflect that cooperation would really have been in their long-term interests. But… do translators do this too? Now let’s cast Sarah and Steven as the owners of two mid-sized translation firms and see if we can find them playing out this sort of “prisoner’s dilemma” drama . On the Island of San Esperito, there are a good few translation companies—the two dominant players are Sarah’s Global Translations Ltd and Steven’s HiQual Languages Inc. These rivals promise their customers that they can deliver translations of the highest possible quality into any of the world’s languages in virtually any subject field. Each year they vie for the work from San Esperito’s biggest translation buyers, the local Tourism Board and a large local software development company, Touch-Tech Ltd. Both firms have figured that an “average translation job” from the major buyers is around 3,000 words and that each buyer orders around 1,200 jobs per annum. The translation firms source the linguistic work from the global pool of freelance translators for a little less than 7 San Esperito dollars per hundred words—so the cost of an averaged-sized job to each firm is around $200 . The firms also know that they can charge their customers somewhat over $26 per hundred words. So they figure that if they charge $800 for an average-sized job, each firm will make a gross profit of (800 – 200) x 1,200 jobs = 720,000 dollars per annum. From experience over the years, the firms have figured out that if one of them drops its average price by $10 (and the other keeps its price unchanged) then the price-cutter is likely to get another 100 jobs—80 jobs that would otherwise have gone to their rival and 2o jobs from new customers. This alluring fact of life provides an ongoing temptation for each firm to undercut its rival. To make our story simple, let’s suppose that each of the two dominant firms in San Esperito can choose between just two prices—the “normal” price of $800 and a cut-rate price of $700 for an average-sized job. If Sarah’s firm decides to drop its price to $700 (while Steven’s firm is still charging $800), then Sarah stands to get an extra 1,000 jobs and Steven will lose 800. Sarah would end up with 2,200 jobs per annum at a great profit of $1,100,000. The work load at Steven’s company would sink to just 400 and his gross profit would plunge to $240,000. This could provoke a life-threatening situation for Steven’s company if this amount didn’t cover all his firm’s overhead expenses such as rent and administration salaries etc. Now what happens if both firms cut their prices? At this lower price, they’re unlikely to lose their existing customers and both firms will attract another 200 new jobs away from some of the smaller local translation agencies. With 1,400 sales each averaging $700, both Sarah and Steven are now each looking at a gross profit of $700,000. By comparing the pairs of payoffs in the four cells above, we can see that a better outcome for Sarah sometimes means a worse outcome for Steven—but not always. When they both charge $800, they are both better off as we can see in the top left-hand cell. “If Steven prices his work at $800 I can boost my profit from $720,000 to $1,100,000 by cutting my price down to $700. On the other hand, if Steven also decides to go for $700, then I’ll only make $700,000. But if he drops to $700 and I keep my prices high, then I’ll really be in trouble and I will only make $240,000! That could be really dangerous and could put my business at risk. I’d probably not be able to pay the rent and I’d definitely have to squeeze the freelancers’ rates. If Steven charges $800, Sarah is better off by charging $700 (a $1,100,000 profit is better than a $72,000 profit). If Steven charges $700, Sarah is again better off by charging $700 (a $700,000 profit is better than a $240,000 profit). In game theory, Sarah is said to have a dominant strategy—that is a strategy that always delivers the best outcome whatever the other player decides to do. But, Steven also has the same dominant strategy! He too is always better off by charging $700 irrespective of what Sarah decides to do. When both Sarah and Steven use their dominant strategy, they both do worse (at $700,000) than they would have if somehow they could have jointly and credibly agreed not to use their dominant strategy but rather kept their prices high at $800 (when they would have made $720,000 each). Is there a solution to the dilemma? Both LSPs (regardless of their size) and freelance translators are ensnared in a prisoner’s dilemma. So how do we get translation industry players to cooperate and stop cutting each others’ throats? Can they collaborate and yet still compete? . Are there actually any realistic strategies which motivate competing players to break out of this self-defeating game and take actions which are in their long-term interest? Or is that just a pipe dream? In my next post I talk to my friend Luigi Muzii  about some solutions to this vexing game. The cops’ better knowledge of how the system works puts the suspects at a distinct disadvantage as they try to figure out what best to do. This sort of information asymmetry also plays a role in the translation industry when buyers try to figure out the quality of the services they buy. This topic is discussed here: The price of translation – why is it like buying a second-hand car? The example scenario given here has been freely adapted from The Art of Strategy by Avinash K. Dixit and Barry J. Nalebuff, 2008, (Chapter 3), W. W. Norton & Company, Inc., New York, N. Y. 10110. The idea here is that this is “marginal cost” (i.e. the change in the total cost that arises when the quantity produced changes by one unit.) The profit in this example is therefore gross profit and therefore does not take the firms’ fixed costs, such as rent and other overheads into account. The beneficiaries of price wars, of course, are the buyers, who are not active players in this game. It is often in the larger society’s interest to prevent competing firms from resolving their pricing dilemmas—this is the role of antitrust policies in many countries. Will the best and most talented translators benefit from the disruptors? One of the few things we can count on is that “things change”. When I started out as a translator we used typewriters and listened to music on cassette tapes. We got our translations typeset on photographic paper—a revolution that had just displaced the “hot metal” linotype. Typewriters, cassette tapes and phototypesetting have all gone. So what’s next in the translation world? Can we predict the likely course of events into the future? A certain Clayton Christensen, a professor at Harvard Business School, seems to think so. 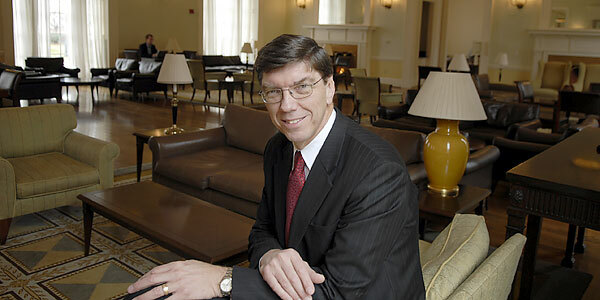 Clayton Christensen , Kim B. Clark Professor of Business Administration at the Harvard Business School. Christensen is best known for his book “The Innovator’s Dilemma”, where he articulates his theory of disruptive innovation. Christensen studies how “disruptive” ideas and new technologies constantly evolve and displace the old—only to be discarded and replaced by new waves of innovation. His theories have been based on his observations of dozens of disparate industries—from the steel industry and telecommunications to steam shovels and medicine. Could his theories fit the translation industry too? In Christensen’s view, “disruptive technologies” are innovations that upset the existing “order of things” in a particular industry. The usual process of disruption begins with some innovation that appeals to customers who are either not served by the current market and/or which appeals to customers at the low-quality end of the market. Over time, as the performance of the innovation improves, it begins to exceed the market’s needs and finally displaces the market incumbents. The former disruptors, in turn, become subject to disruption from new market entrants in a new cycle of innovation and disruption—thus we get what Christensen calls the “innovator’s dilemma” . An important component of Christensen’s theory is that market incumbents often fail because they generally do not to react to disruptive innovations until it’s too late to recover. This happens because low-end disruptors tackle a market segment that the incumbents consider insufficiently profitable (and so they feel they can safely ignore the emerging low-end competition). As I see it, Christensen’s view of emerging disruptive forces provides a compelling framework for understanding the current state of the global translation market. Many incumbent LSPs are struggling with what seem like conflicting signals from the translation marketplace: on the one hand, the demand for translation appears to be increasing worldwide, but on the other, prices appear to be dropping or at least are stagnant . Few industry people would disagree that the translation market is characterised by significant “price compression” and many established brick and mortar translation companies feel trapped in a downward spiral of price competition that is potentially severe enough to undermine the very foundations of the existing system. Reducing internal staff to lower operating costs is often impractical for companies in an industry almost entirely based on outsourcing and freelancing. Price competition can only be sustained by cutting direct costs—generally by lowering the rates paid to translators. This has a demoralising effect on the primary workforce and encourages the most qualified and skilled translators to leave the profession in search for a more remunerative income . On the other hand an entirely new breed of translation business models have sprung up in recent years. They are growing rapidly and appear to be thriving—industry news often seems to be awash with translation-related Internet start-ups that have successfully raised millions of dollars from venture capital firms. The new models appear to draw their vigour from new-fangled innovations that include crowdsourcing, machine translation, or highly automated, web-based job management systems that allocate jobs to freelancers with little human intervention. Characteristic of all these new business models is the promise of faster turnaround and lower pricing—but typically at a quality lower than the established brick and mortar companies tend to provide. Is this what Christensen terms “low-end disruption”? A situation where new market entrants—armed with lower-cost innovations—can find a segment of customers who are willing to accept a lower quality product in order to benefit from the lower pricing? Or customers who previously weren’t able to afford the sort of quality language services provided by the traditional translation providers. According to Christensen, the performance provided by such low-end disruptors is typically “good enough along the traditional metrics of performance at the low end of the mainstream market” . Low-end disruptors achieve early market success by targeting “overserved customers in the low end of the main stream market” . How might we interpret “overserved customers” in the context of the translation industry? The very existence of such a category might well be an anathema to the majority of professional translators who generally believe that competent translation is a minimum standard. Nevertheless, it cannot be denied that there are willing buyers who consider that translation work to EN15038 standard, or similar, is simply expensive overkill. They are happy to purchase work completed to less rigorous standards, which, in their opinion, is still “good enough” for their needs. The important consideration for these customers is that it is available at a lower price. Customers who fit into this category are those who flock to on-line translation businesses promising “one hour”, “same day” or “overnight” delivery, which outsource relatively small jobs to translators who are willing to accept relatively low rates. Some of these businesses often utilise some form of machine translation to speed up the production process and then outsource the output to human post-editors. No resistance from the big, established LSPs? In Christensen’s observation, low-end disruptors find little resistance from the high-end incumbents because the disruptors typically target work that the established companies are motivated to ignore. Short jobs, for example, often fit the low-end in terms of profitability—they often require a high level of human project management. They are expensive to produce but return little revenue. There must be few translation companies who don’t dread the annual request from customers who would like “Merry Xmas and a Happy New Year” translated into a dozen or more languages. While the bigger LSPs may feel safe in ignoring the incursions of the “low-end disruptors”, the smaller translation providers, whose bread and butter often depends on a constant turnover of short work, will be feeling the heat. In addition to “low-end disruption”, Christensen identifies a second type of disruption: “new-market disruption”. The targeted performance here is of “lower performance in traditional attributes, but improved performance in new attributes—typically simplicity and convenience” . This segment targets what Christensen calls “non-consumption”, i.e. “customers who historically lacked the money or the skill to buy and the use the product” . 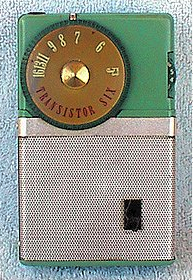 Sony’s TR-63—the first “pocket-sized” transistor radio. We might perhaps adapt Christensen’s original words and say: “Users of Google Translate were thrilled to use a product that wasn’t very good, because the alternative was no translation at all”. While the service was still free, there is no doubt that by 2012, with more than 200 million monthly active users, the quality of the machine-translated output had greatly improved. Panning Google Translate by professional translators (including me!) and citing its often-funny output became a popular sport in social media. Nevertheless, in 2012, Google withdrew the free use of its translation API and began to charge a fee for its use in third-party applications. This might illustrate a classic scenario described by Christensen in the evolution of disruptive innovation—a gradual, but inexorable move up-market by an initially imperfect product. Few translation industry players really felt seriously threatened by Google, which was seen as a sort of free “toy” which could safely be ignored. Needless to say, it pretty much wiped out the professional “gisting” market that had previously been at the low-value end of many professional translators’ range of services. I would venture to suggest that few of the top localization companies—those who service the top end of this complex market—are concerned at any potential threat from Google. Nevertheless, in 2013, Google launched a new fee-based localization service targeted at developers producing apps for mobile devices . We might interpret Google’s move as a disruption in an overserved segment of customers at the low end of the localisation market. The addition of fee-based services could be interpreted as an attempt to “extend the lower-cost business model up towards products that more profitable customers are trying to get done” . Are we witnessing the beginnings of this very process in the translation industry? How will the incumbents respond to the new challenges? Christensen shows that despite the challenges of new entrants, many market incumbents continue to innovate and maintain their market position. They succeed by introducing what Christensen calls “sustaining innovations”. Such innovations are characterised by “[p]erformance improvement in attributes most valued by the industry’s most demanding customers. These improvements may be incremental or breakthrough in character” . Successful incumbents, who are able to continue growing their companies from the introduction of such “sustaining innovations”, target “the most attractive (i.e. profitable) customers in the mainstream markets who are willing to pay for improved performance” . These firms are able to improve or maintain their profit margins using their existing processes (and cost structure) and thus improve their competitive situation. Such “sustaining innovations” are almost always best utilized by firms that already have the best position in an industry. Christensen points out that when new market entrants attempt to compete by means of these sorts of “sustaining innovations” they often fail because the established firms nearly always have more financial resources, stronger relationships with established clients, a better reputation, and access to better technology. In the translation industry, we may well see some incumbents who introduce their own “sustaining innovations” and are able to maintain their market position in spite of the rapid growth of the more disruptive business models. We can be fairly confident that such innovations are likely to utilise technology in order to respond more quickly to buyers and/or which increase translator productivity. Some will ignore the incursions of the disruptors and do nothing—this could be a fatal mistake for some. Many LSPs will attempt to counter the lower-priced competitors by attempting to match their pricing. However, Christensen points out that when established companies try to take their higher-cost business down-market to increase market share (by selling at lower price points), almost none of the increased revenue goes to the bottom line. In contrast, as the lower-cost businesses improve their performance and begin to move up-market selling at higher price points, the increase is likely to go straight to the bottom line. In such contests, it is easy to see which firms are most likely to grow and prosper. The other common (and predictable) alternative for incumbents is to abandon the low-end of the market to the new entrants and attempt to move up-market to recover market share. This implies intensified competition between incumbents who are now competing for the lucrative (but smaller) higher end of the market. Intensified competition at the higher end of the market implies increasing competition between LSPs for scarce resources (i.e. for human translators who are able to deliver quickly with low error rates and who have strong writing skills). The work of highly skilled human translators requires less revision and rework. Translators who have specialised domain knowledge not only produce better work, but they are typically able to produce it more quickly. The use of more highly skilled human translators (whether as translators, post-editors or in other editorial roles) not only increases efficiency and reduces cost, but also increases profitability and competitiveness. If Christensen’s theories fit the translation industry as well as they seem to fit dozens of others, then there are some reasonably predictable scenarios ahead. The disruptive players, with their lower-cost business models, will ultimately dominate the “low end” of the market and as their performance improves, they will continue to move up market. With the lower ground gone, the traditional LSPs will have to scramble to find a niche higher up the “quality” ladder where they can serve customers who are prepared to pay higher prices. But delivering the goods to the industry’s most demanding customers is no easy matter—access to quality resources becomes a critical factor and a matter of survival. This implies intensified competition to attract and retain human resources that are already in short supply—the best and most talented translators. Time to put your prices up, guys? [4[ Clayton M. Christensen & Michael E. Raynor, (2003), The innovator’s Solution—Creating and sustaining successful growth, Boston, Massachusetts, USA: Harvard Business School Press, p 51. Google’s new localization service also relies on the intervention of selected market incumbents who do not rely exclusively on machine translation. Christensen & Raynor, (2003), p 81. “Liar, liar! Pants on fire!” Who can afford to tell the truth about translation quality… and who can’t? “Liar, Liar! 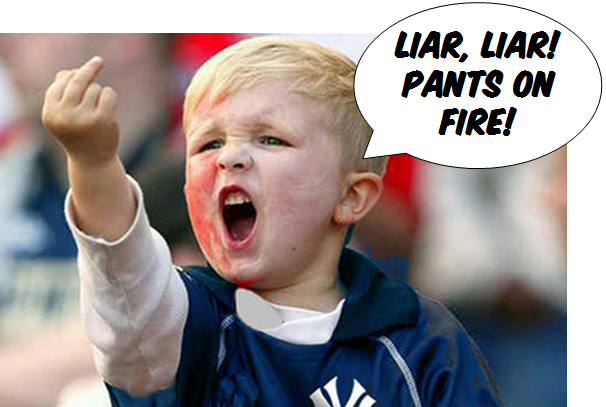 Pants On Fire!” is a playground taunt that kids shout when they think a playmate is lying . In this post we look at the economics of telling the truth (or otherwise) about translation quality. When everyone else is shouting that they deliver “quality”, is there some trick translators can use to get paid more for doing a better job? Is there some realistic way for customers to figure out if you are telling the truth about what you can deliver? When customers have a hard time figuring out whether or not you provide a service that’s any better than the next guy’s, is it realistic to think you can push up the price? It’s not just translators who struggle with these dilemmas and it’s not just translators who have to deal with customers who don’t seem to fully value the skill and effort required to produce better than average work. These sorts of problems have been the subject of much study by economists—and some of them have come up a few tricks that have been good enough to win them a Nobel Prize. 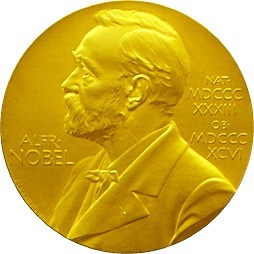 In this post, I look at a Nobel Prize-winning idea known as market signalling and begin to explore how translators might benefit from the insights it provides. Paul: Luigi, last time we talked we developed a model of the translation industry characterised by information asymmetry—a situation where translators have a profound understanding of what is at stake when trying to communicate across different languages, but people who need the translations—on average—don’t. George Akerlof studied markets where sellers of products have more information than buyers about product quality. He showed that low-quality products may squeeze out high-quality products in such markets, and that prices of high-quality products may suffer as a result. He won the Nobel Prize in Economics for his insights. We discussed how this produces a market of uncertain product quality where buyers have difficulty differentiating between good and poor quality work. Luigi: That’s right. Instead of buying what they need, buyers often have nothing better to go on than price to select a provider—and so translation providers end up engaging in destructive price competition. As prices fall, translation providers have little option but to seek cheaper (and usually lower quality) resources to keep their businesses afloat. This triggers a downward price-quality spiral and we see Gresham’s Law in operation—bad quality drives out the good—as we discussed in an earlier post . Paul: So how can we reverse this situation? Can we imagine a situation where buyers would consider more than just price when looking for a translator, and where LSPs compete with each other to engage the most appropriate (not the cheapest) linguists for the job? Luigi: Absolutely! We know this because linguists are not the only ones who find themselves in a situation of information asymmetry. Most of us manage to buy services from our lawyers or purchase new refrigerators without having to do a law degree or without studying refrigeration engineering first! Trying to educate the customer is an uphill battle—there are smarter ways to look at the problem. 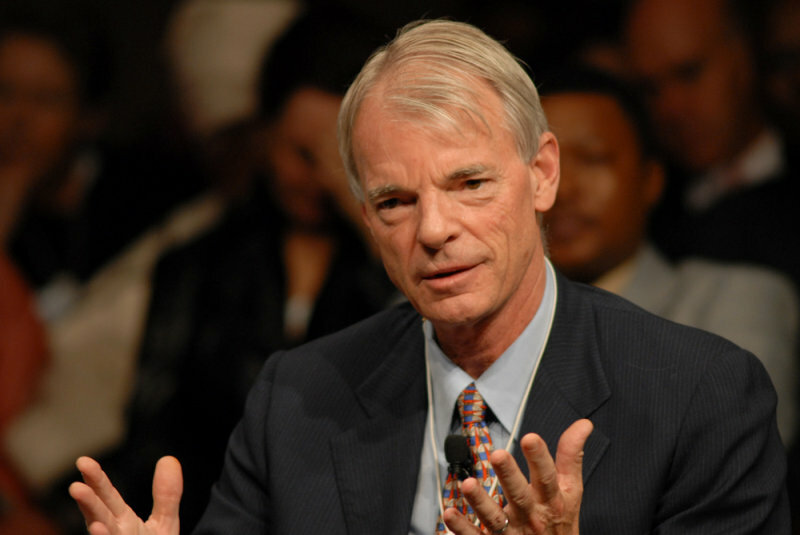 It was an American economist, Michael Spence, who figured out how we are often able to make good decisions when we are not experts in the subject or have insufficient information. He got the 2001 Nobel Prize for Economics for his ideas. Andrew Michael Spence is an American economist and recipient of the 2001 Nobel Prize in Economics. He is currently a senior fellow at Stanford University’s Hoover Institution. The idea Spence developed is called market signalling . He looked at what makes signals credible enough for us to choose between alternatives when we really don’t have enough knowledge or information to understand the difference. Paul: That’s exactly the situation most translation buyers find themselves in! Luigi: Precisely. If translator A can deliver a better service than a lower-priced competitor B, but a potential buyer is unable to independently check which provider would actually be more advantageous, Michael Spence’s ideas on market signalling provides a way to help us understand on what basis the buyer might choose the better quality service from translator A.
Paul: So how does Spence’s theory work? Luigi: In a previous conversation we used the second-hand car market to illustrate what can happen when buyers and sellers do not have the same knowledge or understanding of the product they are buying and selling. So let’s go back to second-hand cars to see how Spence’s ideas on market signalling work in that situation . Imagine that you want to buy a second-hand car and you find two cars you like equally well—but one has a warranty and the other doesn’t. You’d probably prefer the one with the warranty (and if you have the budget for it, the chances are good that you’d also be willing to pay a bit more for it). If something goes wrong with the car, the seller will fix it free of charge. Paul: Fixing up “bad” translations by the original translator at no cost is no news in the translation industry. Luigi: Indeed. But getting translations “fixed” (or cars repaired) can be a real hassle! Paul: Yes. The very thought of a car breaking down is a nightmare. The inconvenience of not being able to use it while repairs are being done would a big consideration for me when buying a car. Luigi: That’s right! You are probably more interested in getting a quality car—one that won’t break down—than you are in having the dealer pay for any repairs. In fact, you’re hoping that there won’t be any repairs! The meaning behind the offer to fix the car at the seller’s expense goes way beyond just saving money for the buyer. Spence’s insight was that the potential cost of a warranty to the seller is interpreted by the buyer as a signal about the true quality of the car. Paul: So what’s the reasoning behind the seller’s strategy in offering a warranty then? Luigi: As most of us don’t have any special expertise as mechanics, it’s difficult for us to independently verify whether the car with a warranty is any better than the car without one. Paul: Again, this is the same dilemma that most translation buyers face! Luigi: Yes. 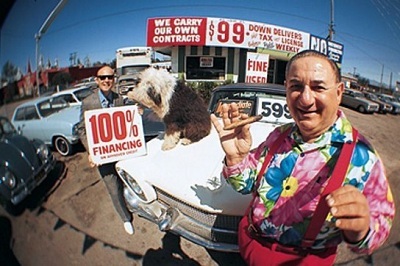 If the seller wants to get a better price for a car which is unlikely to give the buyer any trouble, then he needs an effective method of communicating the truth about its actual condition. His message needs to be one that we are going to take seriously. If the seller knows that the car has had a good track record (or perhaps he has had it checked out mechanically), then he can be confident about offering a warranty because he knows that the chances that we’ll come back to him demanding costly repairs is quite low. If the car is actually in good condition, then offering a warranty is unlikely to cost him anything. Paul: I get it: the seller’s very offer to pay for any repairs is a signal that he knows that the chances of a breakdown are actually low. So that makes me more inclined to believe him because I know that he wants to increase his profit and he will not want to pay my repair bills if he can possibly avoid it! Luigi: Exactly. It’s the potential loss to the seller that makes his message credible. He’s now in a position to demand a higher price and we are more likely to pay it because we have some confidence that he’s telling the truth. Our payoff is that we will escape the hassle of a breakdown. It’s a win-win situation. Paul: Now, what about the lower quality cars on the salesman’s lot? Luigi: If the seller knows that a car is actually in poor condition, he can be pretty certain that if he offers you a warranty it is going to cost him. In theory, he could push up the asking price by offering a warranty on a poor quality car. But that’s risky—he knows that the worse the condition of the car, the more likely he will make a loss from inevitable and expensive repairs later on. As buyers, we’re not so silly, and we know that too! To make a profit, his best strategy may be to sell cars of lower quality at a lower price – and without a warranty. After all, there’s still a good market for cheap cars, just as there is a good market for lower value translations! Paul: I can see that just promising quality is not enough. As buyers, we are unlikely to be persuaded by some sign over the car yard which promises that the seller only offers top quality cars. “Talk is cheap,” as they say. I guess a promise to deliver quality becomes credible only when the seller puts his money where his mouth is. Luigi: Yes. This explains why the offer of a warranty is much more than a simple “added benefit” to induce the customer to buy. A good warranty is a credible signal of the actual quality of the car. Even though we may not be able to verify the quality of the car ourselves, we figure that a canny car salesman wouldn’t volunteer to pay for potentially expensive repairs unless there was a very low chance of things going wrong. Luigi: Yes. 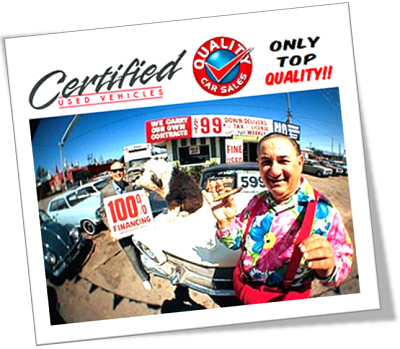 The salesman with low-quality cars on his lot simply can’t afford to offer the same sort of warranty as a competitor with good quality cars. Paul: The principle is that it simply doesn’t make economic sense to offer a warranty and then to lie about the quality. Luigi: Exactly. The seller with high-quality cars can afford to offer a really outstanding warranty because he knows he won’t have to honour it very often. In a situation where the seller knows the truth, but we don’t, we have to read the signals. If a salesman won’t match the warranty of his competitor you can be sure that he’s done his profit and loss calculations and has figured that it is not in his own financial interest to offer it to you. We may not be able to figure out the quality of a second-hand car by looking under the hood, but we can intuitively figure it out by reading the market signals. When we can see that the seller faces a significant cost or penalty by not telling the truth, then we believe him. That’s the trick! Paul: So how can we apply this principle to the translation industry? Are you suggesting that good quality translators might earn more if they offered a money back guarantee? Luigi: Ha, ha! Translations are not cars, and the analogy with the second-hand car market can only be taken so far. Just offering a simple warranty may not be enough. Buyers wanting a “quality” second-hand car might be willing to pay more for one with a warranty because their ultimate payoff is avoiding the inconvenience of a breakdown. But does the average translation buyer think about “quality” in these terms when she goes out looking for a translator? Paul: I suspect that most buyers are not really sure about what translation quality actually means—at least not in the same way that translators tend to think about it. Paul: These Nobel Prize-winning ideas are all very well, Luigi, but we need to illustrate them with some practical examples. Let’s look at how translators might get a better price by signalling “quality” in a way that is both credible and meaningful to buyers in our next session! “Liar, Liar! Pants On Fire!” is a playground taunt that kids shout when they think a playmate is lying. “Pants (or bottom) on fire” is a euphemism for spanking, the expected punishment for not telling the truth. (http://bit.ly/H3HH62). The taunt may be a paraphrased version of William Blake’s 1810 poem “The Liar”, http://yhoo.it/bAkK6X. Spence, A. M. (1974). Market Signaling: Informational Transfer in Hiring and Related Screening Processes. Cambridge: Harvard University Press. The argument here follows the one outlined by Dixit and Nalebuff in Chapter 8 (Interpreting and Manipulating Information) of their book, The Art of Strategy (2008), W.W. Norton & Company, NY. Dixit A.K. & Nalebuff B. J. (2008). The Art of Strategy, W.W. Norton & Company, NY, USA, p. 239. 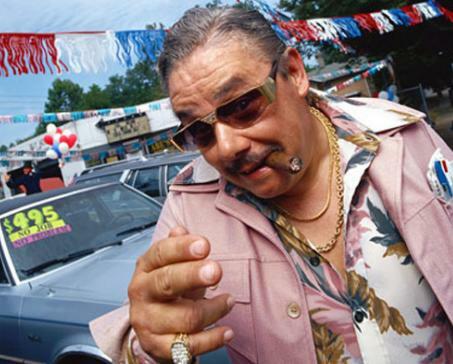 What comes to mind when you think about used car salesmen? The words “sleazy”, “disreputable”, “untrustworthy” or “con man” perhaps? Paul: Luigi, do you really think that translators are like second-hand car dealers? Luigi: No, not at all, Paul! Well… there might be the occasional one! But people who buy and sell translations find themselves in the same sort of economic predicament as people who buy and sell second-hand cars. Paul: So what sort of predicament is that, Luigi? Luigi: The sellers know a lot more about the quality of the cars they are selling than the buyers do. In economics this is called “information asymmetry” – and it has a really significant effect on price. Paul: I can see the parallel with the translation industry. Buyers have huge difficulty in determining the quality of the services they buy – but the sellers, the translators themselves, have a very profound understanding of what determines a good versus a poor translation. Luigi: Yes, just like the second-hand car market, the translation market is characterised by uncertain product quality – at least from the buyer’s perspective. This problem was studied by the American economist George Akerlof, currently Professor of Economics at the University of California, Berkeley. He won the 2001 Nobel Prize in Economics for his ideas on this problem – the very problem that bedevils the translation industry . 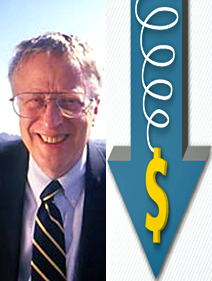 George Akerlof – awarded the Nobel Prize for his ideas on the economic effects of asymmetrical information. Paul: So how does the theory work? Luigi: To make it simple, let’s imagine that there are only two kinds of used cars on the market – good quality ones (let’s call them “peaches”) and “lemons” (cars which frequently break down and require a lot of maintenance) . Now suppose that the owners of lemons are willing to sell them for $1,000. There is a good market for cheap cars, and so let’s suppose that potential buyers are willing to pay up to $1,500 for a lower quality car. Let’s further suppose that the owners of peaches are willing to accept $3,000 for their better quality cars and potential buyers are willing to pay up to $4,000 for one. Paul: If the quality of different cars on the market was clear and obvious to everyone, then the market would work well, wouldn’t it? Everyone would get the level of quality they expected and were prepared to pay for. Luigi: Yes. Lemons would sell for a price between $1,000 and $1,500 and peaches would be traded between $3,000 and $4,000. Paul: But the quality of second-hand cars just isn’t obvious is it? While the sellers know whether their cars are lemons or peaches, the buyers don’t. Paul: The sellers of lemons would be delighted to get this price for their defective cars! But this certainly wouldn’t be acceptable to sellers who know that their cars are of good quality and are actually worth a lot more would it? Luigi: Exactly. Can you imagine what a huge effect this has on the market? Paul: I guess the sellers of poor quality cars would be encouraged and the sellers of higher quality ones would be discouraged. Soon enough the number of lemon sellers in the market would grow and the number of peach sellers would decrease. Paul: Yes, the average price has dropped! So this is what is called the “race to the bottom”. Luigi: Yes! Naturally this example is a bit oversimplified, but we can see this mechanism at play in the translation market. The core of the problem is the inherent difficulty buyers have in distinguishing between the value different translation providers offer. When every translation provider in the market attempts to stand out from the crowd by claiming that they deliver “quality”, it’s no wonder that buyers find it hard to tell the difference between them. Promising to do “a good quality job” is hardly a unique selling proposition is it? Where both peaches and lemons are all labelled as “top quality”, buyers are confronted with a market of uncertain product quality. This is how the translation market looks to buyers. The consequence of this sort of market is that bad quality tends to drive out better quality as we discussed previously. Paul: What happens to the sellers of peaches in these circumstances? Luigi: This sort of market provides an incentive for many translation companies to pass off a low quality product as a higher quality one; decreasing profit margins encourage sellers to look for cheaper, lower quality resources. This just puts more “lemons” on to the market, and so prices continue to spiral downwards making the problem even worse. Paul: If “information asymmetry” is the problem, would educating the customer help fix the problem, do you think? Luigi: Just think how many years it has taken you and me to develop an understanding of what translation quality means. Even then, you and I probably have very different opinions on what translation quality is or how we should assess it. What chance has the average translation buyer got to understand the question in any meaningful way? Educating the customer may sound like a nice idea – but it’s not even a very practical approach. Customers are rarely willing to be instructed by those who are not considered to be their peers – their translators, after all, are only service providers! Paul: So what is the answer to this dilemma, Luigi? Luigi: When translation providers in the market signal that they all deliver “top quality”, it’s no wonder that buyers have difficulty in telling them apart. It simply provides them with a strong incentive to choose lower-priced services. The translation industry has a “signalling problem” . How translation providers could more profitably signal what they offer (in a practical way that ordinary buyers are able to understand) might be a good topic for our next discussion. Paul: How to make the profession more profitable is an important topic. I look forward to that discussion, Luigi! AKA “il barbaro”, Luigi Muzii is a founding member and associate at sQuid. He has been working in the language industry since 1982 as a translator, localizer, technical writer and consultant. He spent 12 years in several departments of a major Italian telecommunications company, and two years in a broadcasting service company. In 2002 he started his own consulting firm to act as an information design and delivery consultant. He was visiting professor of terminology and localization at the LUSPIO University in Rome for almost ten years, and is the author of a book on technical writing, and of many papers and articles. He was one of the founders of the Italian association for terminology (ASSITERM) and of Gruppo L10N, a group of localization professionals volunteering in educational programs. Muzii L. (2012). A Contrarian’s View on Translation Standards, eBook downloadable from http://www.lulu.com/shop/luigi-muzii/a-contrarians-view-on-translation-standards/ebook/product-20440187.html, page 6. The example here is taken from Dixit A.K. & Nalebuff B.J. (2008). The Art of Strategy, W.W. Norton & Company, NY, USA, pp 243-244. See also Rosenthal E.C. (2011). The Complete Idiot’s Guide to Game Theory, Alpha Books, NY, USA, pp 102-105.